The PFD774 Powerdeck™ Floor Scale is ideal for environments which require rugged equipment. With a load cell system that is entirely water proof, the scale is safe for extreme wash down conditions. Increased precision makes Powerdeck™ ideal for operations where true accuracy matters. This series of short videos gives quick insights into how Powerdeck™ can improve effiiciency and avoid defective products. Your production yield will increase through faster processing, increased precision, and elimination of measurment errors. The new Powerdeck™ floor scale generation combines robust design with smart diagnostics and clear user guidance for smooth, efficient and productive weighing. When operators get real-time guidance, the result is an optimized, accurate and efficient weighing process. New Powerdeck™ floor scales provide the kind of guidance and durability that increases operating life while reducing maintenance costs. In tough industry applications, not only do you have the challenge to improve efficiency but also need to avoid defective products. 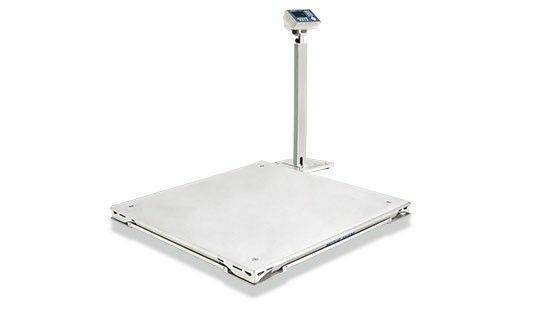 In daily weighing activities, standard analog floor scales do not have the capability to warn you of possible errors. METTLER TOLEDO’s new generation floor scale Powerdeck™ delivers Real-Time Operator Guidance to help you operate efficiently and without errors. Have you ever wondered how a traditional analog floor scale would hold up to the new PowerDeck™ digital floor scale? Wonder no more! 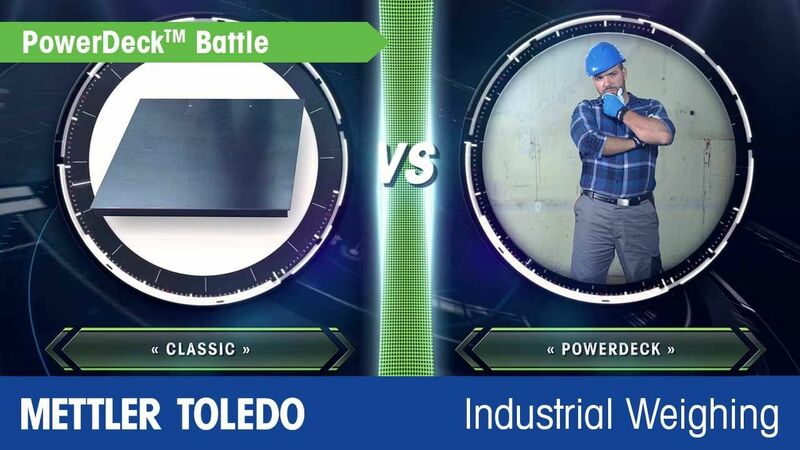 We put both instruments to the test in an epic battle you will not want to miss. See how the different technologies perform in three disciplines: Productivity, Precision and Uptime -then decide for yourself what is best for your operation. Enjoy! The new PowerDeck™ PFD7__ floor scale family combines advanced POWERCELL® technology, a redesigned fully sealed platform and smart applications to boost your productivity. Run your process at peak performance with Powerdeck™ for consistent and high-quality products, boosting your bottom line. With features not previously available in analog floor scales, the POWERCELL® digital load-cell system offers many benefits to your operations maintenance efforts. By reducing the time and money spent on repairing your floor scale, you are free to focus on optimizing your daily processes. These maintenance benefits are driven by a series of technology breakthroughs featured in Powerdeck™. Proactively correct an issue before the scale stops working properly. With an analog floor scale, the diagnosing process starts only after transporting heavy weights to the scale and applying loads to various locations on the platform. Powerdeck™ monitors data from all four corners of the scale and assists you in finding and correcting most issues simply and quickly.